Going to the doctor can be stressful, whether you’re a person or a pet. At Weddington Animal Hospital, we take your pet’s emotional health as seriously as their physical health. We utilize fear free techniques to decrease your pet’s stress as much as possible – before, during and after their veterinary visit. 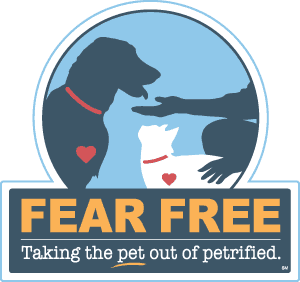 Fear Free is a certification focused on minimizing patient stress during handling and veterinary procedures. By using methods that minimize patient stress at each veterinary visit, your pet will overall develop less fear associated with veterinary hospitals and have less emotional stress over time as their experiences remain as positive as possible. Fear Free techniques analyze natural behavior cues exhibited by each pet and teach staff to recognize “FAS” (Fear, anxiety, stress) levels. By identifying stressful situations and using methods such as treats, specialized scents, toys, and occasionally anxiety reducing medications – we are better able to provide a positive experience for your pet at each visit. How Common Is Pet Anxiety? Anxiety in pets, especially in new environments, is relatively common. Signs your pet may exhibit that indicate anxiety or stress are panting, yawning, drooling, vocalizations, avoiding eye contact, among others. In severely anxious or stressed pets, these signs may lead to hiding or aggression. By using fear free techniques to minimize fear, anxiety and stress and monitoring for triggers, we are better able to help your pet stay comfortable during their visit, and for future visits. Weddington Animal Hospital uses fear free techniques to reduce stress in our canine and feline patients. At each visit, your pet may be asked if it is allowed to have treats, and be allowed a wide selection of treats – including peanut butter and squeeze cheese. For our feline friends, we have a selection of treats, canned food, and catnip spray. Scents are an important component of minimizing stress in our patients. 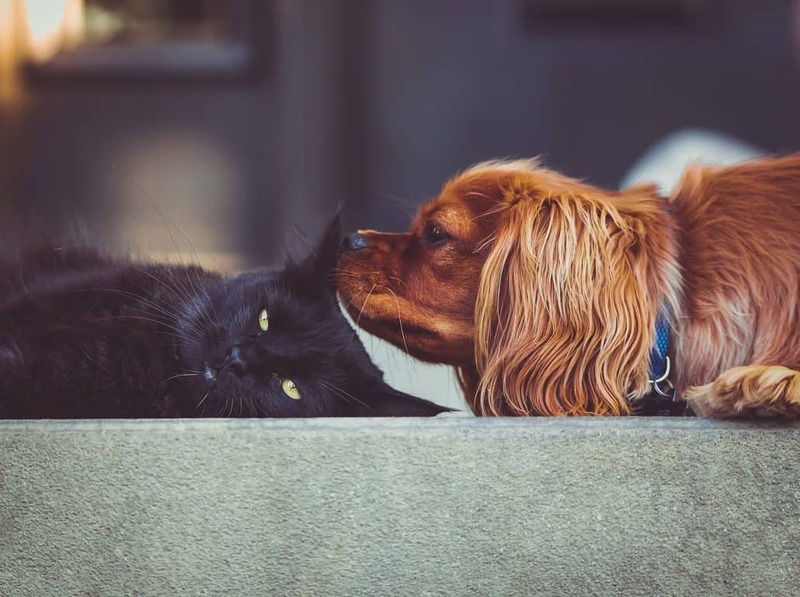 Animals, particularly cats, are extremely sensitive to smell – we strive to reduce odors that may be distracting to your pet and also utilize pheromone therapy with products that simulate maternal scents – such as Feliway for cats and Adaptil for dogs. 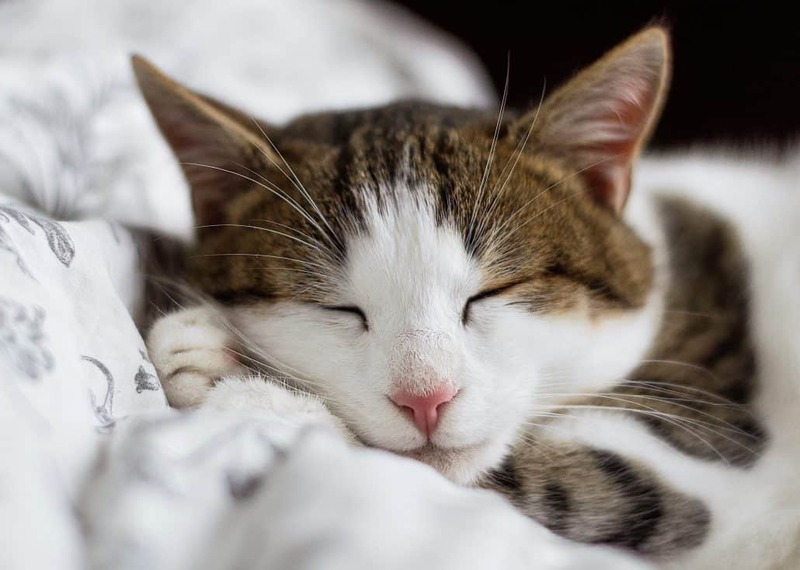 If your pet appears to be escalating in stress during a visit, or performing a procedure may be too stressful or uncomfortable for them, we may recommend medications to help your pet relax – whether they are given in hospital as injections, or by mouth at home. The Fear Free approach is not limited to the time in the veterinary hospital – our fear free certified veterinarian may ask specific questions about your pet’s home environment and lifestyle to identify stress triggers. For cats, this may be the carrier – by making entering the carrier and the car ride a positive experience, the patient will be even more relaxed before the visit even begins. If you have any specific concerns about your pet’s behavior at home or during their veterinary visit, please call or bring it up with your veterinary staff during the visit. If your pet has any particular food allergies, we welcome you to bring their favorite hypoallergenic treat or toy along to help them feel more comfortable. Fear free certification is currently available for veterinarians and veterinary staff, animal trainers, and groomers. Certification for veterinarians consists of a series of online modules that cover recognition of fear, anxiety, and stress, and techniques to prevent or minimize these signs from occurring. Annual continuing education hours are required to maintain certification. Weddington Animal Hospital utilizes fear free techniques to decrease your pet’s stress (and yours!) as much as possible before, during, and after their veterinary visit. Using fear free training, our staff acts to find ways to limit your pet’s stress level and make each visit as pleasant as possible. Weddington Animal Hospital is proud to serve all of the surrounding areas in our community. Our patients come from a variety of areas, including Matthews, Ballantyne, Marvin, Waxhaw, Indian Trail, Waverly, Wesley Chapel and Weddington. 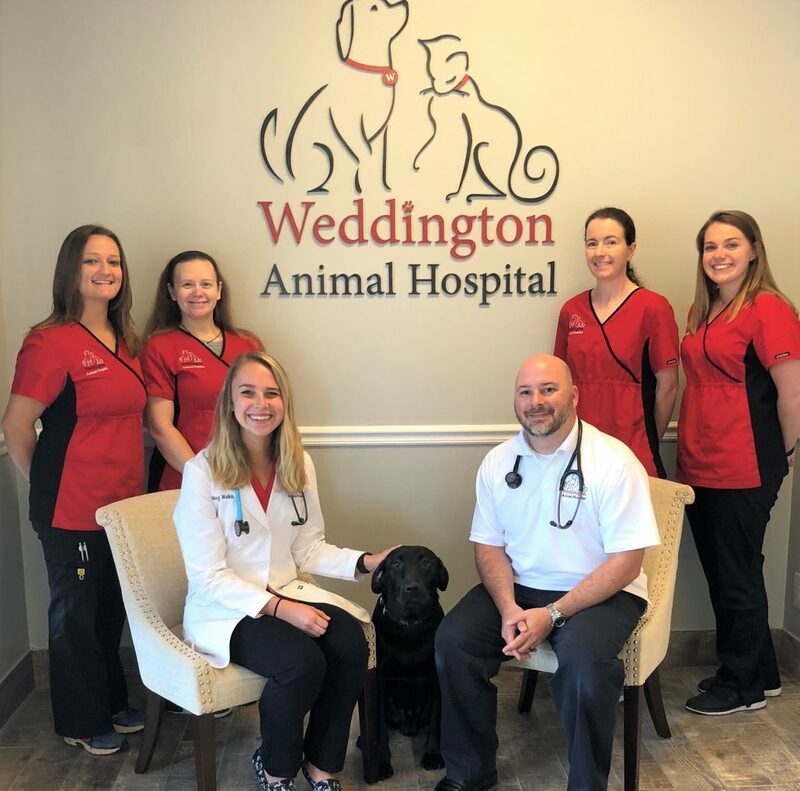 Weddington Animal Hospital currently has a fear free certified veterinarian on staff and is actively expanding our fear free goals as a practice to provide a better hospital environment for our patients. Whether it be a sick or a well visit, we strive to make your pet as comfortable in our hospital as possible. If you have any questions about our fear free approach and techniques, feel free to call us. We would love to speak to you and learn about your pets!